Courtesy of Roger Stevens Jr. 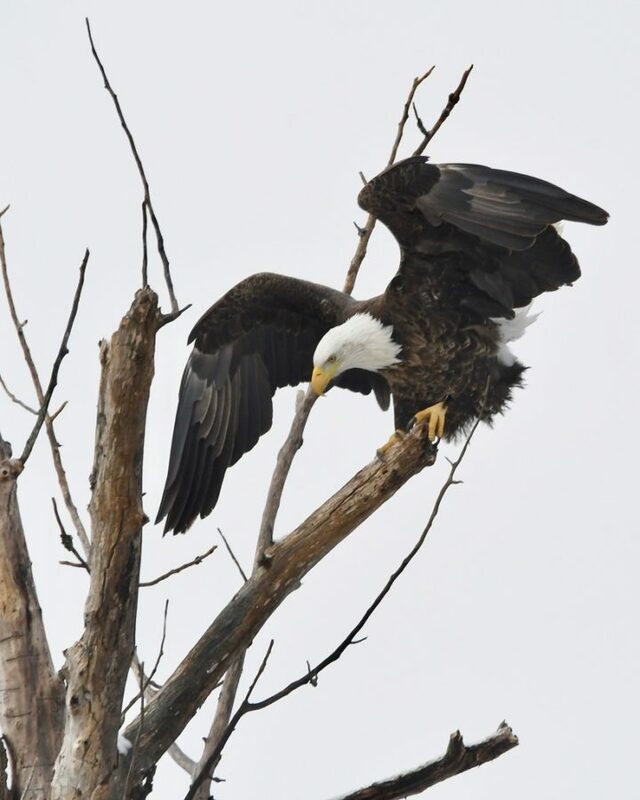 This bald eagle and squirrel had a treetop disagreement on Thursday near the Lincoln Rite Aid store. 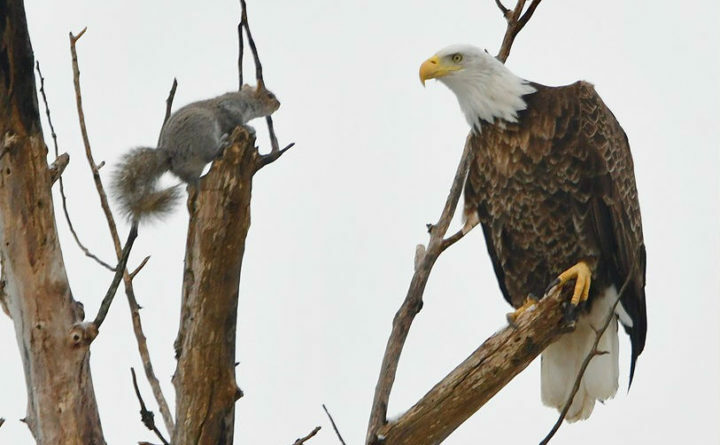 The squirrel seemed to know just how far the eagle could reach with its beak, and the eagle eventually tired of the exercise and flew off. Victory to the squirrel. For now. When Roger Stevens Jr. heads out the door each morning, he follows a ritual that has come in handy more than once: He always packs his camera. Up around his hometown of Lincoln, there’s plenty of woods and water, and all kinds of wild animals are liable to step within camera range. That’s exactly what happened Monday when Stevens began to drive home from McDonald’s. There, in a tree next to the Rite Aid store, was a bald eagle. And it was behaving a bit oddly. Stevens figured the eagle was looking at something and decided to keep watching. That’s when a gray squirrel walked into the frame. The squirrel was seemingly outmatched, seeing as how it was facing down a known squirrel-munching predator, but it didn’t seem too concerned. In fact, Stevens said, the squirrel seemed downright ornery. Over the course of 10 minutes, the squirrel was careful to remain out of the eagle’s reach, but was also fairly clear about which critter was trespassing on the other’s territory. A few times, the squirrel scurried to safety, either ducking into a hollow in the tree, or retreating to a safer spot on the back of the tree. But it seemed determined to drive the interloper away. “[The squirrel] went right up the tree three or four times and got in his face,” Stevens said. And eventually, the squirrel emerged victorious. Stevens said he wasn’t sure exactly what caused the squirrel to behave so boldly but guessed it might be protecting a nest. Shevenell Webb, the small mammal biologist for the Maine Department of Inland Fisheries and Wildlife, said that may well have been the case. “Gray squirrels in Maine can have litters in March/April, so it’s certainly possible this is a mother defending her young,” Webb said. All Stevens knows for sure is he’s glad he was able to see the drama unfold. “I wouldn’t have believed it. If somebody else had put it up [on social media] I would have said, ‘Nah. That’s Photoshopped,’” Stevens said. 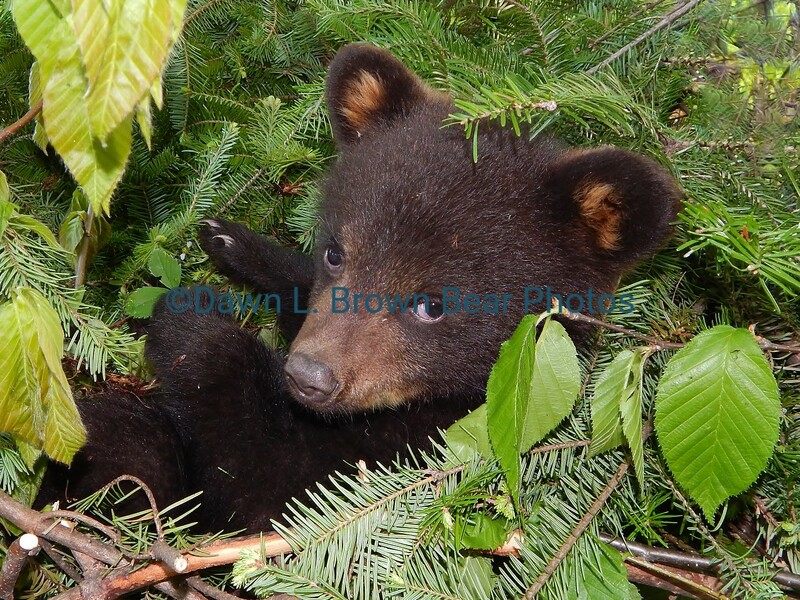 Thanks to a dog-walker who happened by during the treetop showdown, Stevens said he has all the proof he needs that the photos are for real. No offense to the fearless squirrel, of course.